RELiON RB80 - Solacity Inc.
RELiON is without a doubt the premium brand to turn to when quality and reliability are at the top of the list for lithium-ion batteries. Also see our Finding Happiness with Lithium-Ion article, explaining the care and feeding of these batteries. 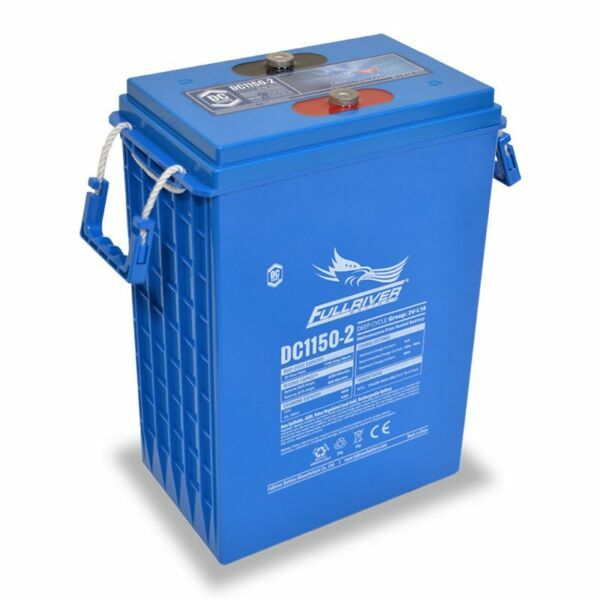 With many times the life-span at a fraction of the weight & size of regular lead-acid, lithium-ion batteries are the future of off-grid power. They can be cycled deeper, more often, charged faster, and all with zero maintenance. 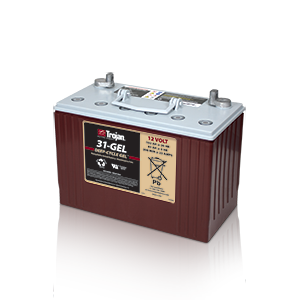 Lithium-ion is also a great solution when weight and space matter, such as for RV applications. 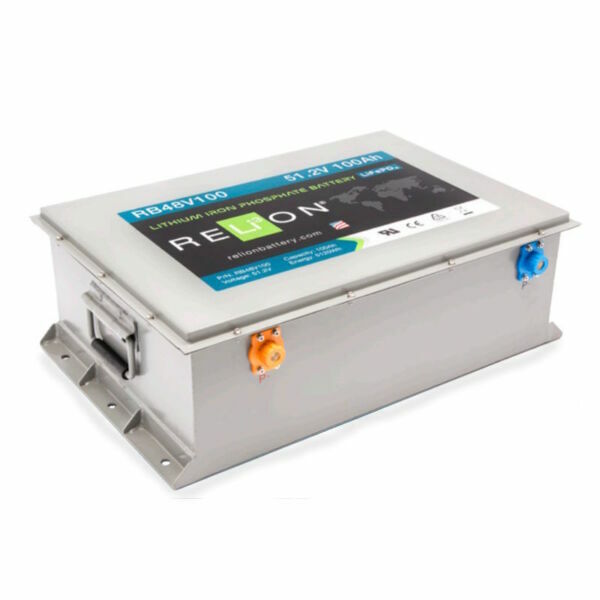 RELiON lithium-ion batteries are true deep-cycle batteries, and they have a build-in battery management system (BMS). The BMS allows them to be charged with regular solar PV charge controllers, with the same settings as for any other sealed battery (such as AGM batteries). The BMS also takes care of protecting the batteries from over- and under-charge, low Voltage disconnect, and automatic balancing of the cells. Absorb time = about two hours, or until the current drops to 0.05C or less. The maximum charge and discharge current is listed on the spec sheet for each battery size (for all the 100 Ah batteries and up this is 100 Amp, the smaller batteries have other values, see the spec sheet). When the battery temperature is below freezing (zero Centigrade) the charge current is limited to 0.1C or 10A, whichever is smaller. 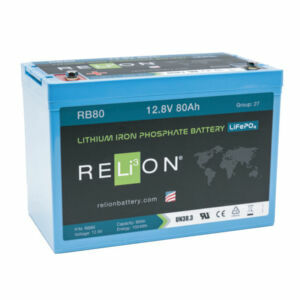 Up to four RELiON batteries of the same type can be placed in series to increase the battery string Voltage, and up to 2 strings can be connected in parallel to increase the Amp-hour rating of the battery bank (more strings can be paralleled with certain limitations, contact us if you are planning to do that). In case of parallel strings the maximum charge and discharge current is still the same as that of an individual battery. For the 100 Ah and larger batteries this means 100 Amp, even for multiple parallel strings (it is less for the smaller batteries). 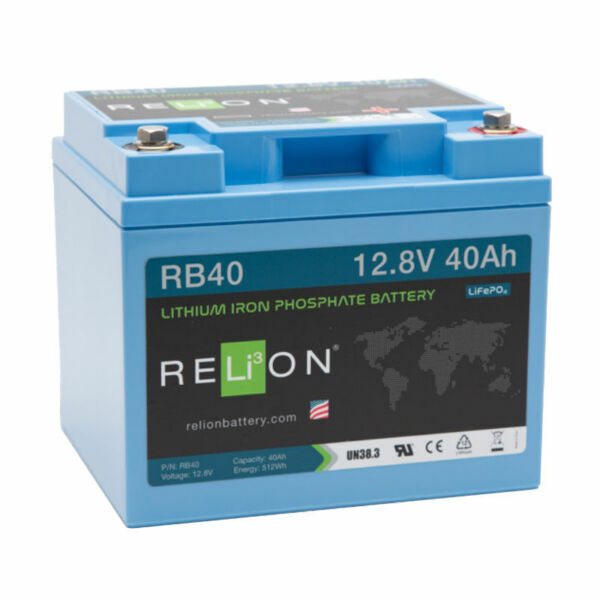 RELiON batteries us LiFePO4 chemistry (Lithium-Iron-Phosphate). This is very stable and is not sensitive to spontaneous combustion, in comparison to laptop and cell-phone lithium-ion batteries (which use Lithium-Cobalt-Phospate chemistry). The cells have build-in protection for over-pressure, over-temperature, contain a fire-retardant in the electrolyte, and have a stainless steel jacket. These are very safe batteries! 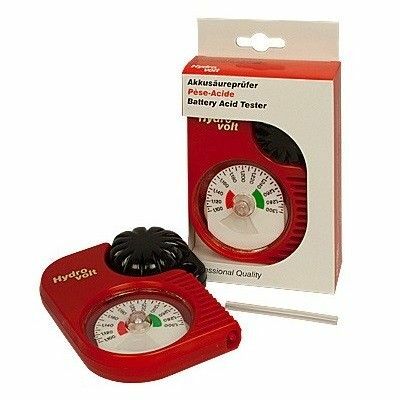 Because lithium-ion batteries can be discharged deeper, and this can be done for more cycles, a smaller battery bank can suffice vs. lead-acid. Light weight & small footprint!